“Appliance Repair Pearland, TX Since 1996” – We are family owned and proud to meet the needs of our customers in Pearland and Brazoria County, Texas. For this reason, we are focus towards winning the trust of our customers and caring for their needs. We appreciate them for the trust they have put in our business thus, we try our best to appreciate them in all possible ways. Our company assures you that all your appliances are in good hands and there is no reason to doubt our services. This is because our specialists are well, educated and trained for several years on how to handle different problems. They are also trained to handle all major brands and models. Call us for appliance repair Pearland customers count on! We offer same-day appliance repair in Pearland, TX . We focus on repairing appliances during our first visit to our customer’s home. The following are some of the brands that we repair: Sub-Zero, LG, Maytag, Whirlpool, Sears, Wolf, Frigidaire and Bosch among others. In addition, we offer our customers a 12-month warranty on labor and manufacturer parts to guarantee their satisfaction. See our Appliance Repair FAQ below. Our service fixes all refrigerators and freezer related problems. We service all brands and models of refrigerators. 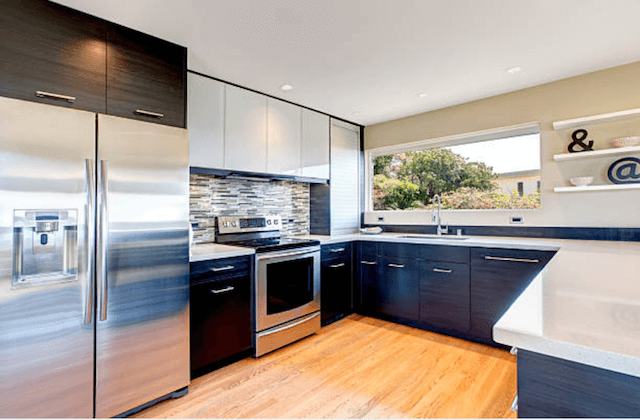 We correct parts of the refrigerator such as smart technology, water dispensers, condensation, loud noises, leaks, touch panels, cooling issues, ice makers, burnt-out bulbs and many other parts. Stoves and range hoods break a lot as they are put into lots of use and they need to be repaired as soon as they break down. Luckily, we are experienced in fixing these appliances including the new models. Some of the stove parts that tend to have issues frequently include the burners, relays, door, igniters, bulbs and switches among other parts. Common dishwasher problems include pump assemblies, cloudy glassware, impellers, odors; solenoids float switches, impellers and other parts. Dishwashers are complex and tend to have lots of issues wash cycles. These issues also prevent the dishwasher from drying. We examine and fix all these problems. Some of the issues related to washing machines are front-and top-loading machines and agitation, door, switch, noise, vibration, vent issues and control boards. These issues can easily be handled by our technicians. We offer same-day services in order to prevent the inconvenience that comes along with the washing machines or dryers. “Thank you, Gold Appliance Repair! None of the other appliance repair companies in Pearland could arrive the same day we called besides them. Then they were able to fix our overflowing dishwasher right away. We will call them first next time!” – Jennifer Y. “The entire experience was excellent. The repairman was very nice and knowledgable and he even arrived early!” – Maria G.
“Our freezer wouldn’t work. I had to leave our food out in the Texas heat and needed someone to repair it fast or else I would have had to waste over 100 pounds of frozen beef. Good thing for Gold Pearland Appliance Repair. The owner himself repaired the freezer before any of the food thawed.” – Corrie P.
Q. SHOULD I HAVE MY BROKEN APPLIANCE REPAIRED OR REPLACED? A. 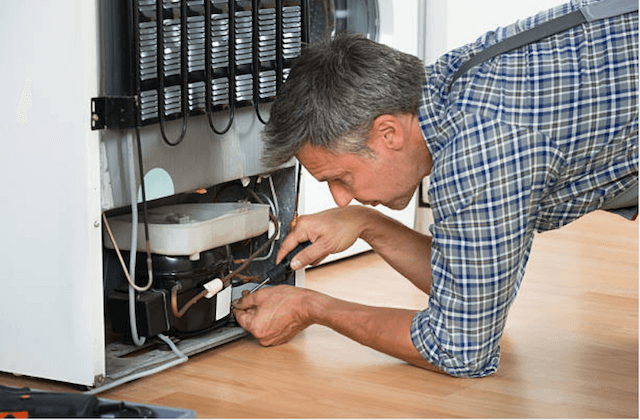 What comes in mind first after an appliance has broken down at home is the amount of money you will spend on that to either repair or replace it. One, you will need to hire repair services or two; you will replace the appliance with a new one. Every single appliance has an average lifespan, thus the stage when an appliance breaks down determines whether to repair or replace it. If your appliance breaks down in its early life stages and the extent of damage is little, you can save money by hiring repair services. On the other hand, if it breaks down during its late stages of life and there is an extensive damage, then you can replace it with a new one. Q. IS THERE A GUARANTEE OR WARRANTY OF YOUR SERVICES? A. Yes. We guarantee our customers’ satisfaction by offering a 1-year warranty on all manufacturer parts and labor. For us to preserve the producer’s warranty, we use manufacturer parts for KitchenAid, Kenmore, Whirlpool, Maytag, Frigidaire, LG, Sub-zero and GE among others. Through this warranty, you are assured that your appliance will work properly for at least 12 months. Q. DURING YOUR FIRST VISIT DO YOU FIX APPLIANCES? A. Most of our repair services occur on our first visit to your home. This is because we load our vans with all the necessities for repair. In those cases where our technicians fail to complete repair they will return the following day and finish where they had left. Q. ARE YOU LIMITED TO SCHEDULES FOR APPOINTMENTS? A. Yes. We ask our customers to wait for about two to three hours for our technicians to get to their home. Also, our technicians will alert you of their arrival when 15 minutes away. Q. DO YOU PROVIDE A COMPLETE LIST OF ALL THE BRAND APPLIANCES THAT YOU REPAIR? A. We do repair almost all brands of appliances found in your home. You can check from the list below whether the brand you own is in our range. Nonetheless if you can’t find your brand, you can still call us and ask questions about possible solutions. Also, we can order parts of your particular brand before showing up for repair.